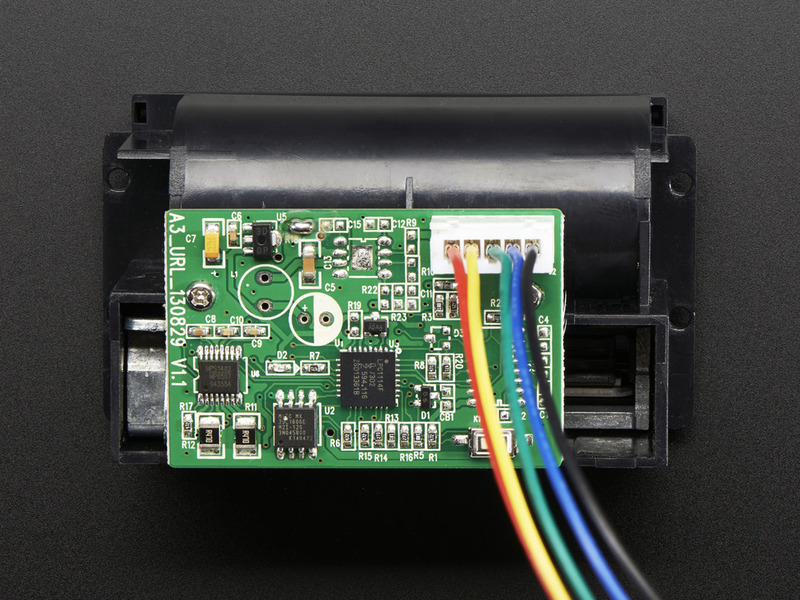 Add a really really small printer to any microcontroller project with this very cute thermal printer. 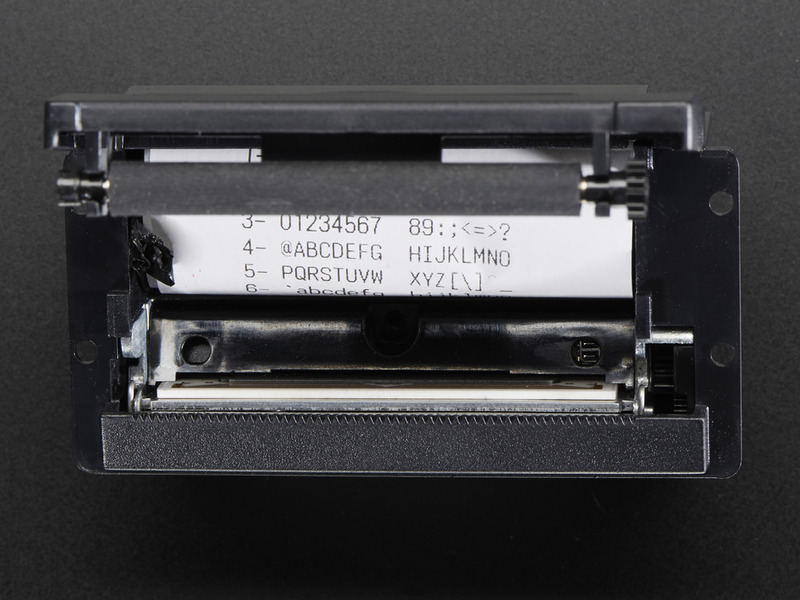 Thermal printers are also known as receipt printers, they're what you get when you go to the ATM or grocery store. 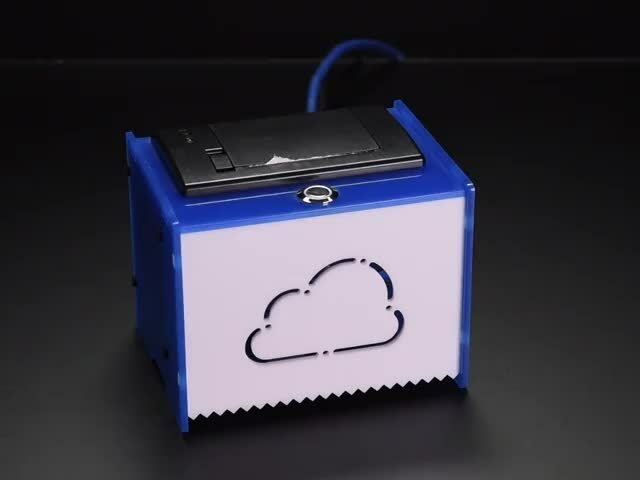 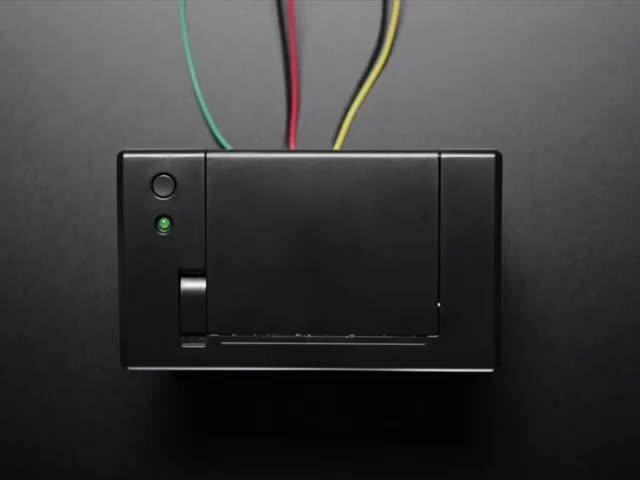 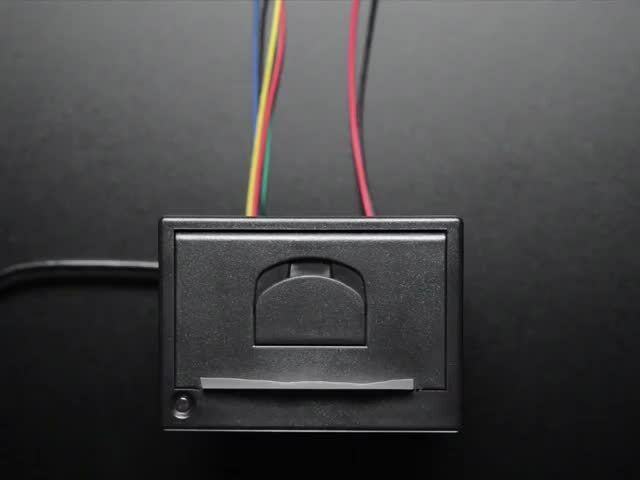 Now you can embed a little printer of your own into an enclosure. 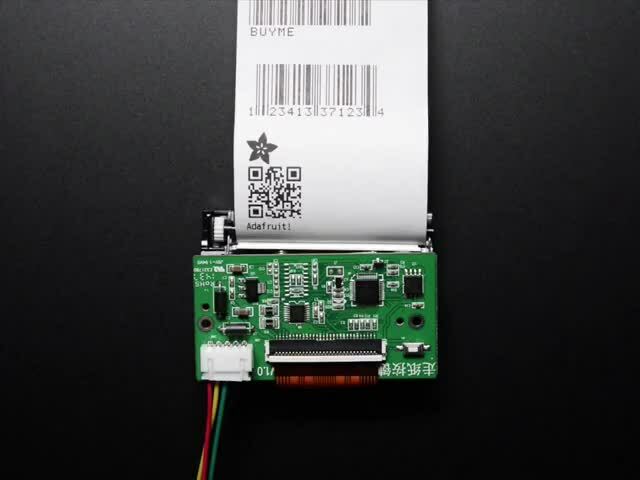 This printer is ideal for interfacing with a microcontroller, you simply need a 3.3V-5V TTL serial output from your microcontroller to print text, barcodes, bitmap graphics, even a QR code! 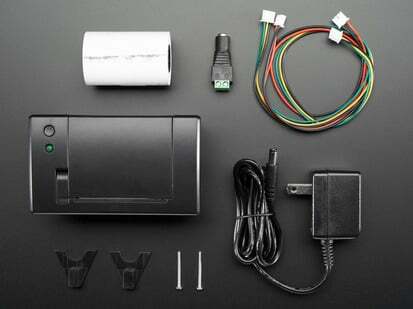 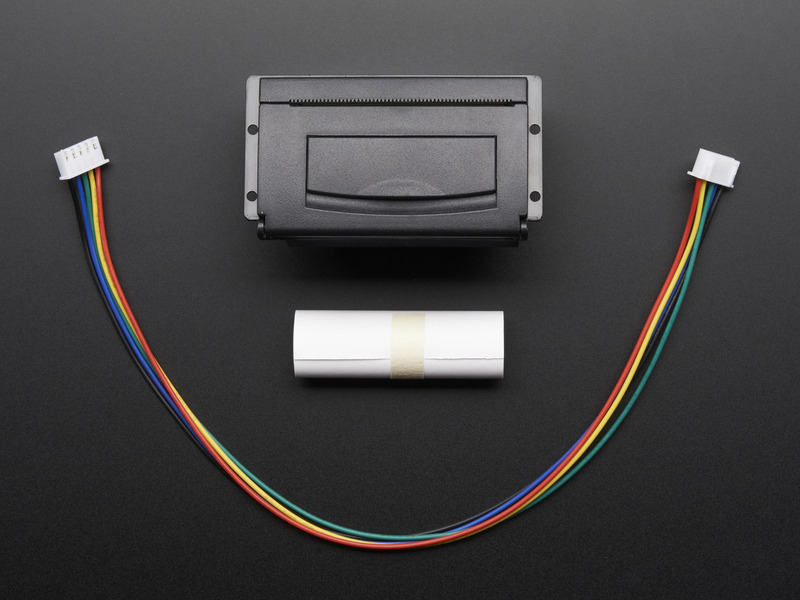 This package comes with a nano Thermal Receipt Printer and a 4-pin TTL cable. 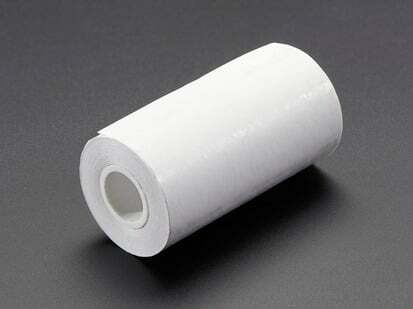 One 16' roll of thermal paper is also included! The printer uses very common 2.25" wide thermal paper, and it can fit up to 16' of paper in the bay at once with a diameter of ≤ 22mm. 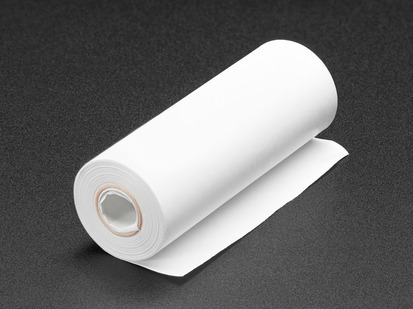 The 16' long, 2.25" wide Thermal Paper Roll in our store works perfectly! 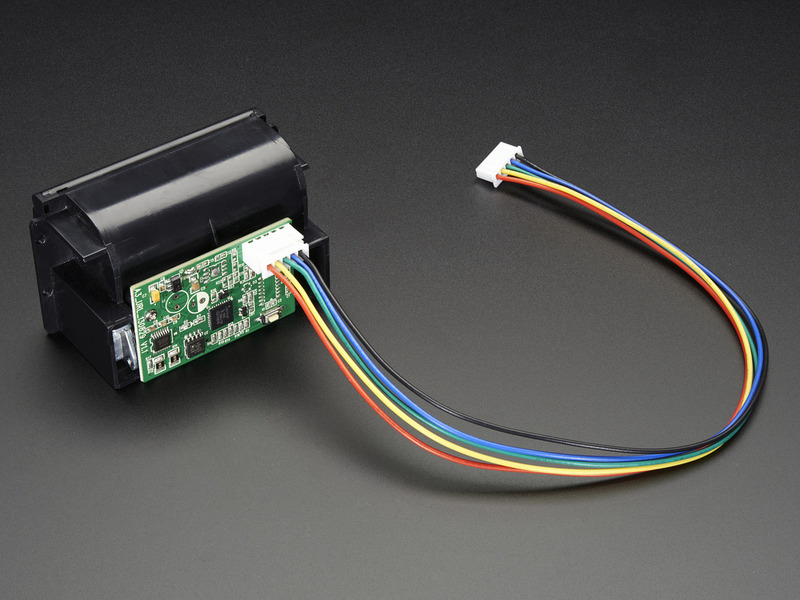 You will also need a 5 to 9VDC regulated power supply, that can provide 1.5A or more during the high-current print - our 5V 2A power supply will work very nicely. 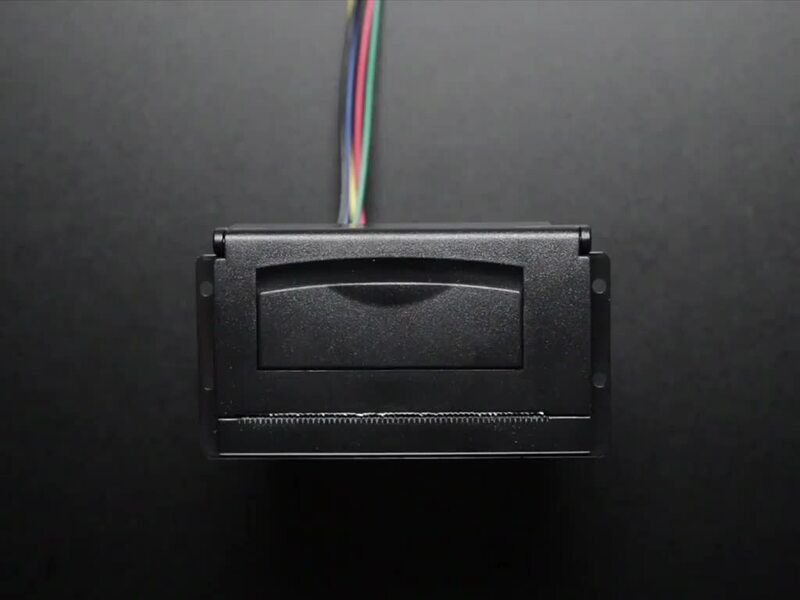 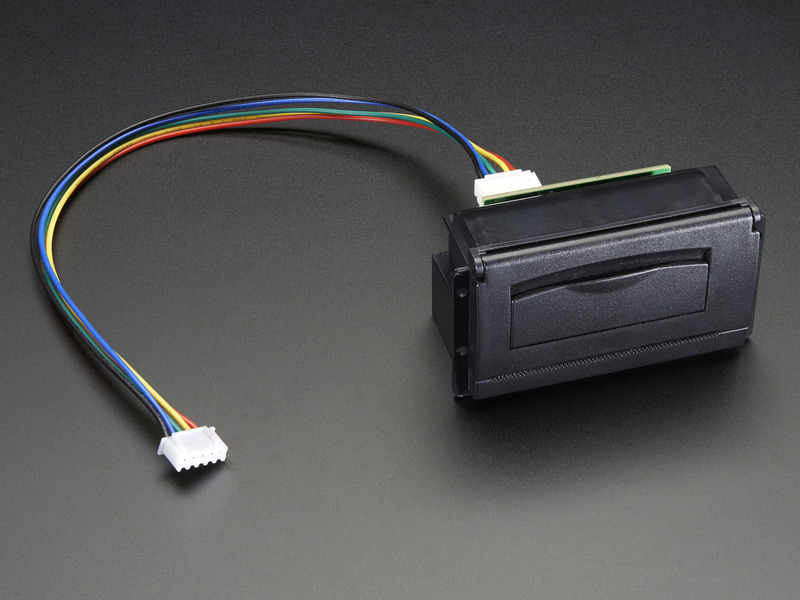 And also we suggest picking up a 2.1mm jack terminal block adapter which will make it easy to connect the power adapter. 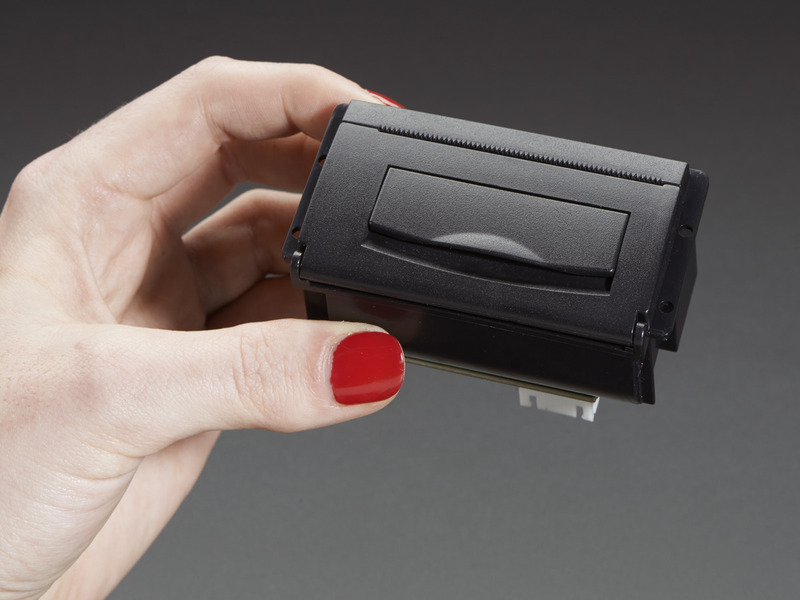 Printer Dimensions: 44.4mm x 78.6mm x 47.4mm / 1.7" x 3.1" x 1.86"